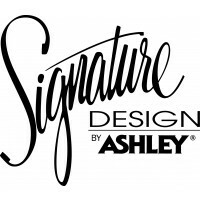 The sleek mid-century lines of this sofa are always in vogue. 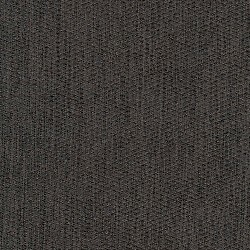 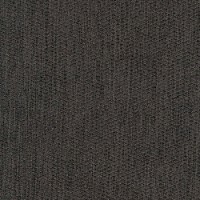 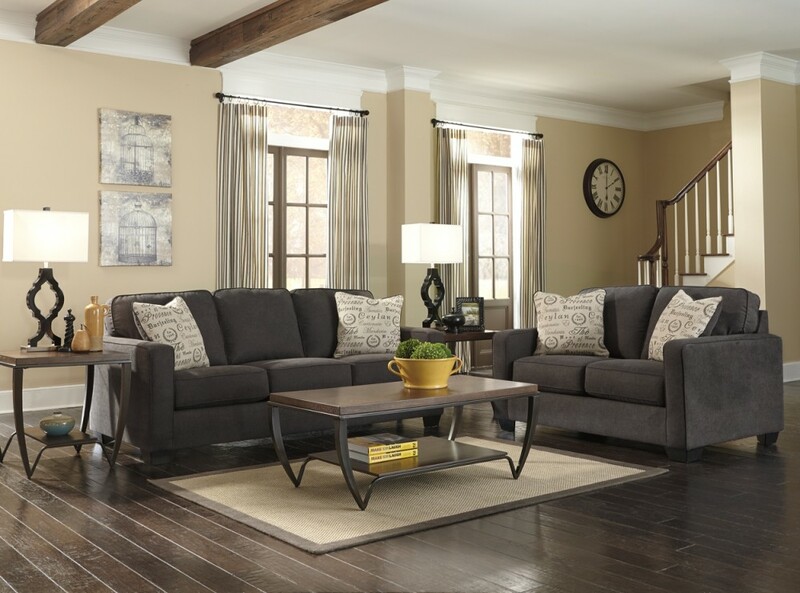 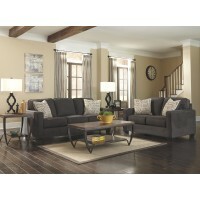 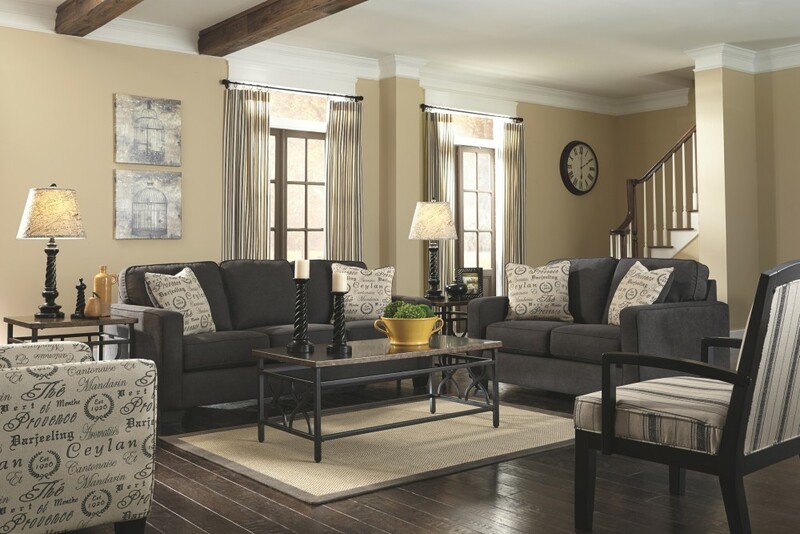 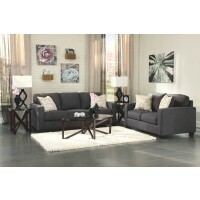 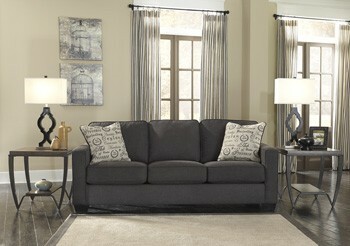 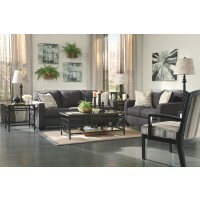 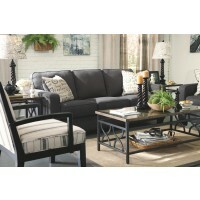 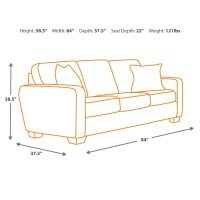 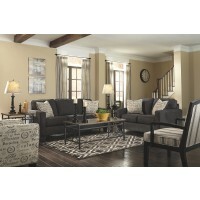 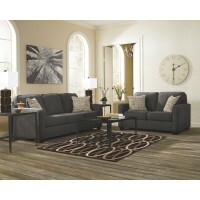 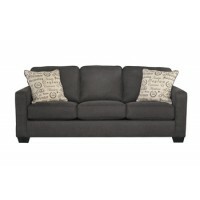 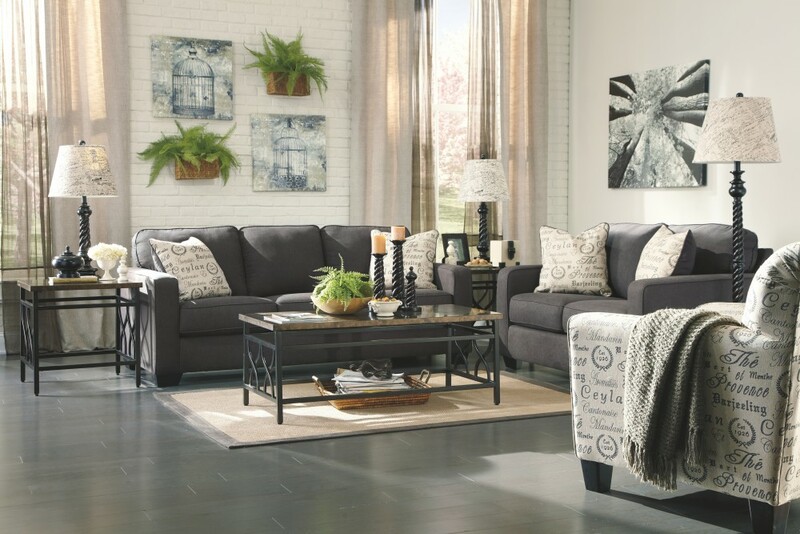 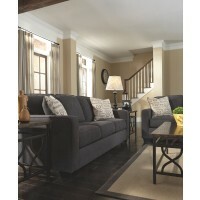 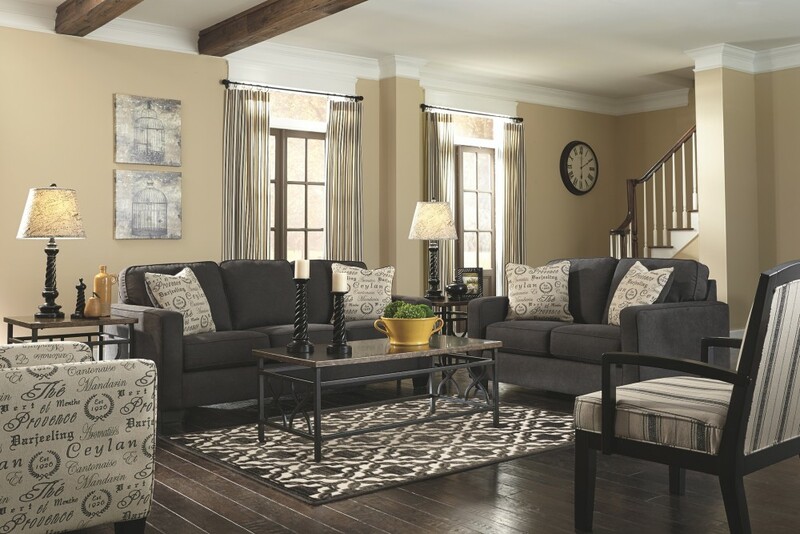 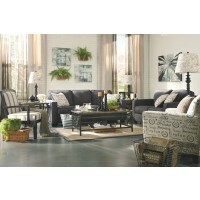 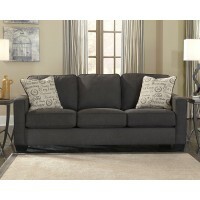 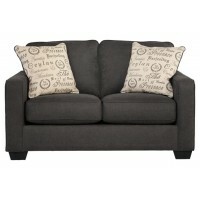 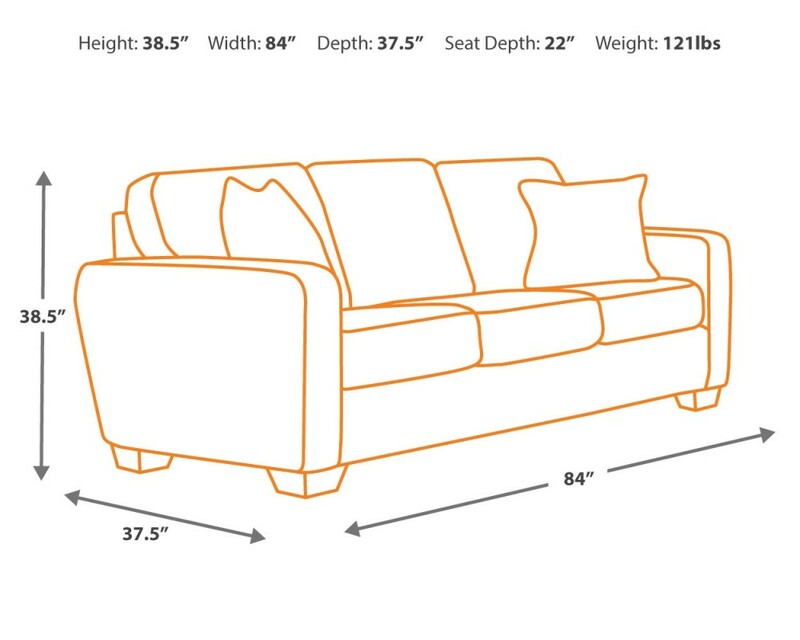 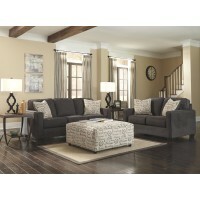 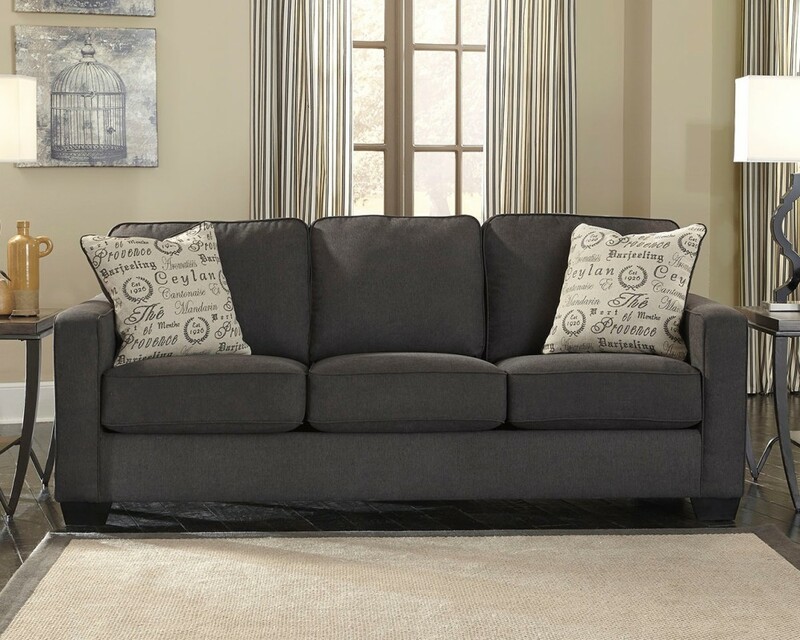 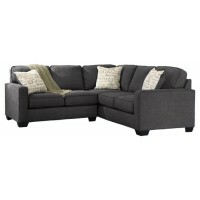 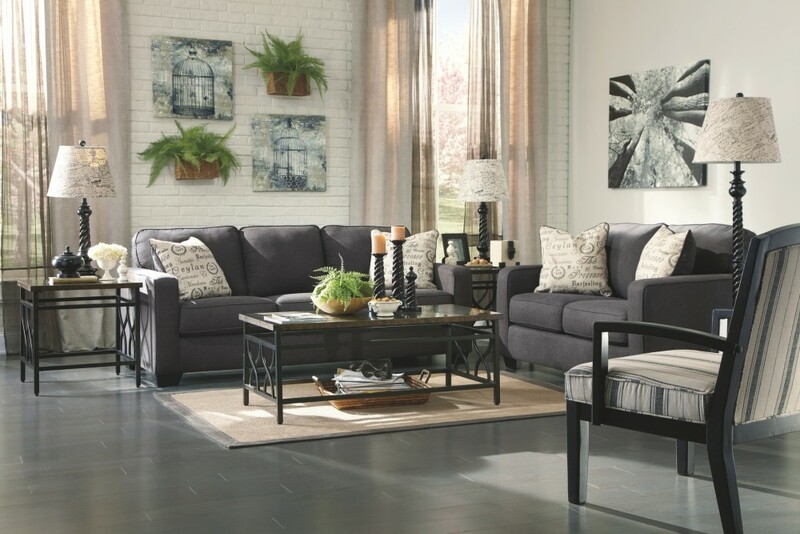 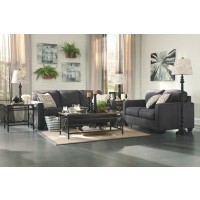 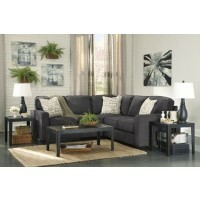 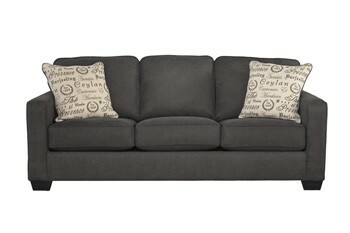 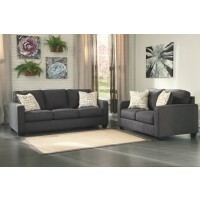 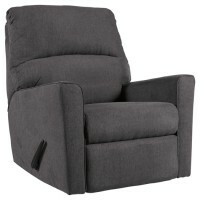 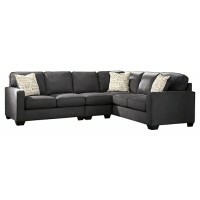 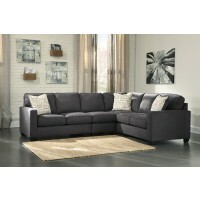 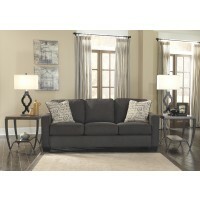 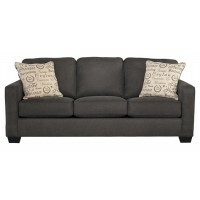 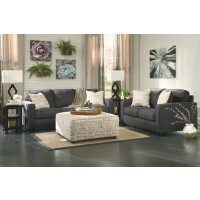 With neatly tailored box cushions and track arms, the microfiber upholstered sofa is supremely comfortable and stylish. 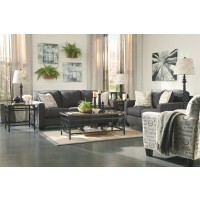 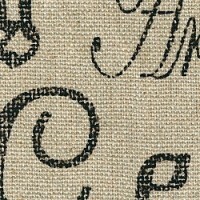 Tonal piping and a pair of printed pillows further refine the silhouette.